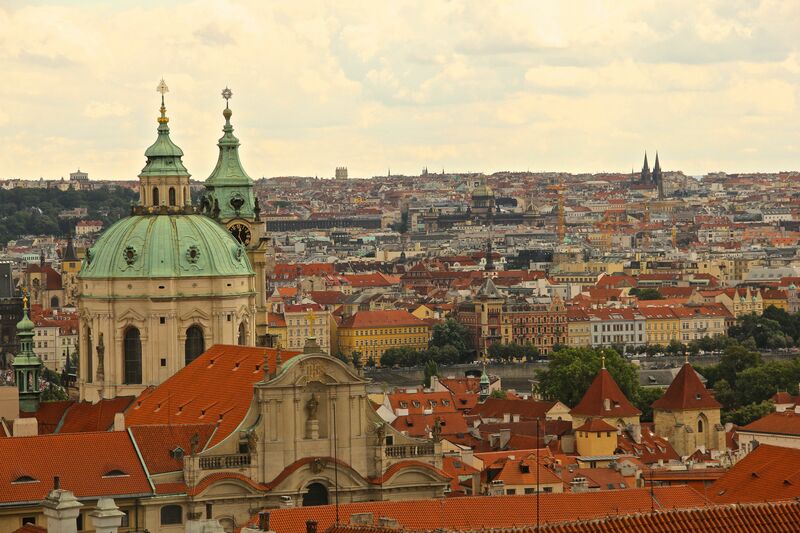 Prague, also known as Praha, is the capital and largest city of the Czech Republic. 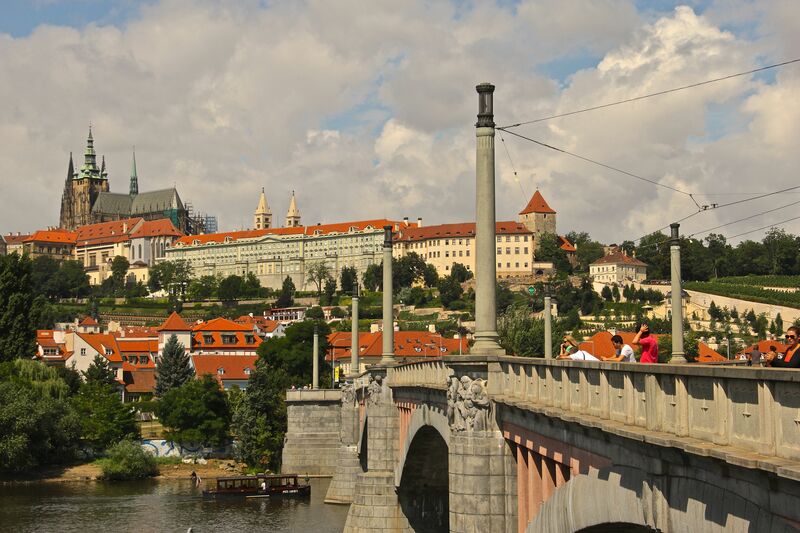 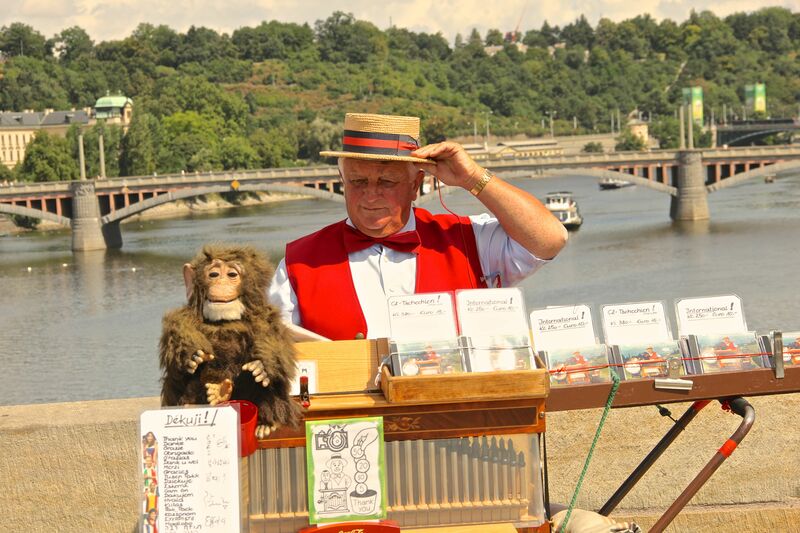 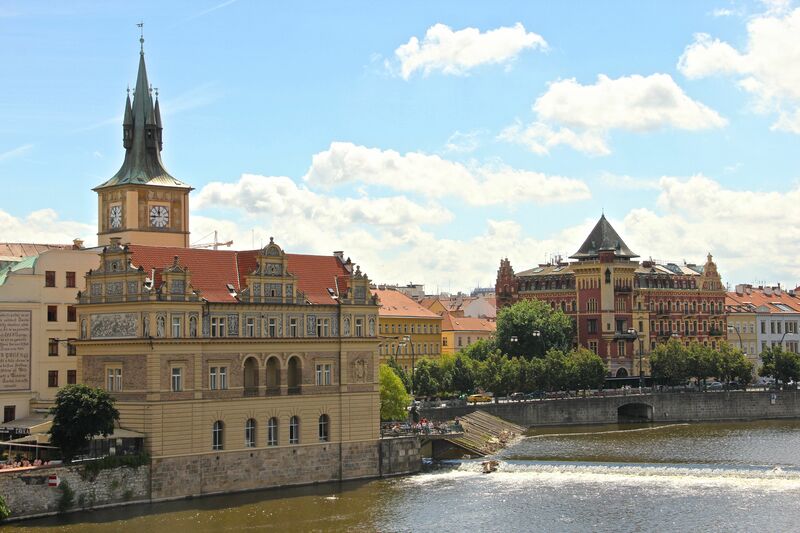 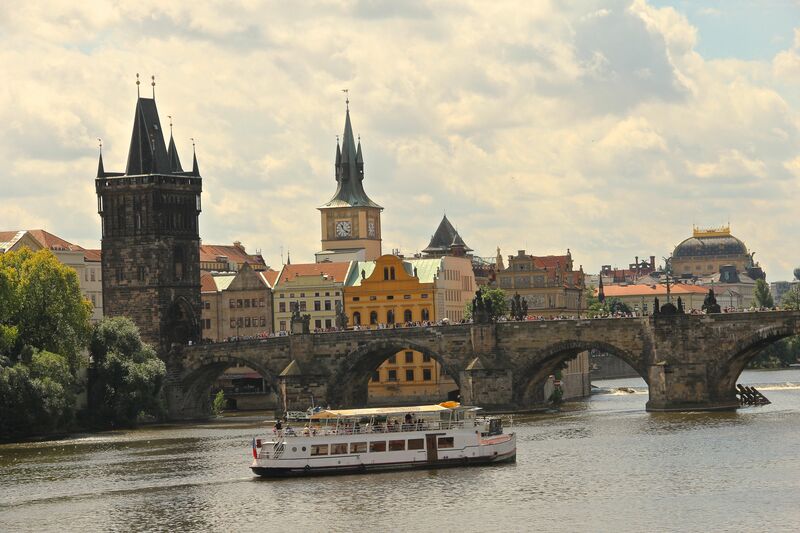 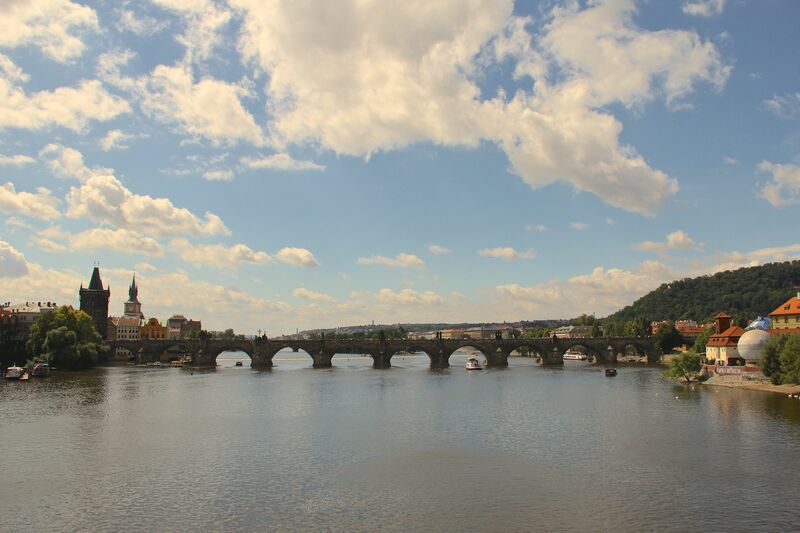 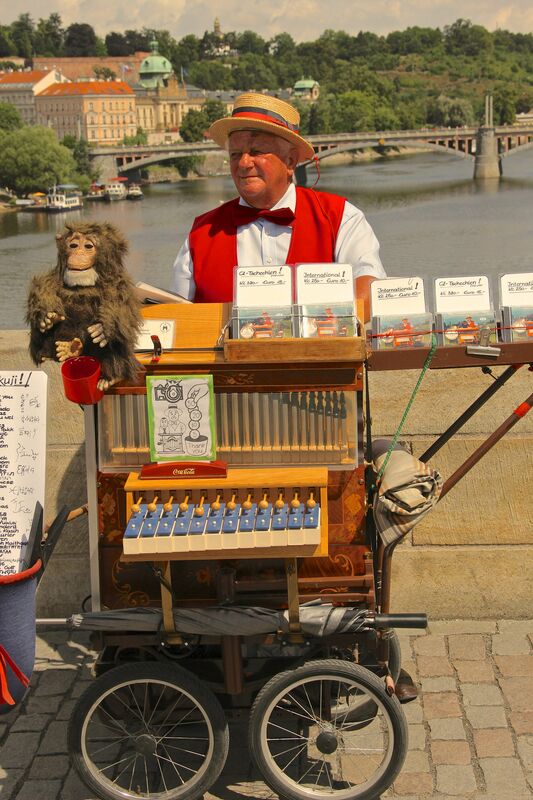 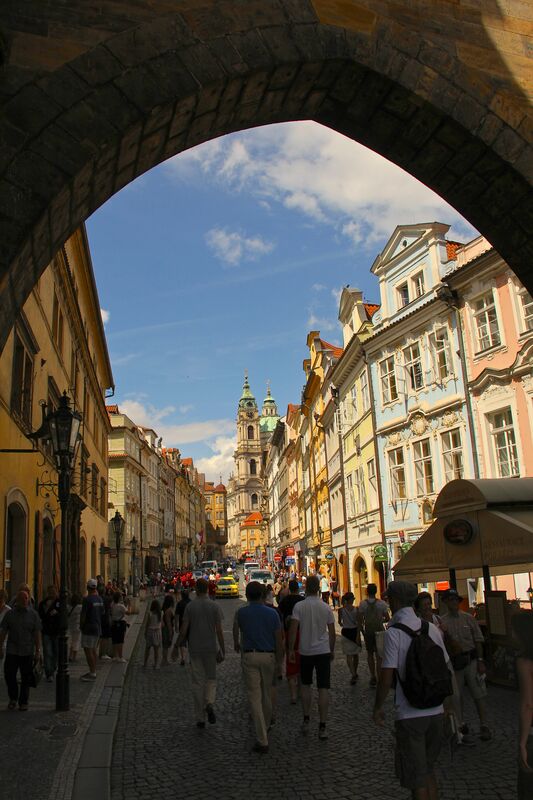 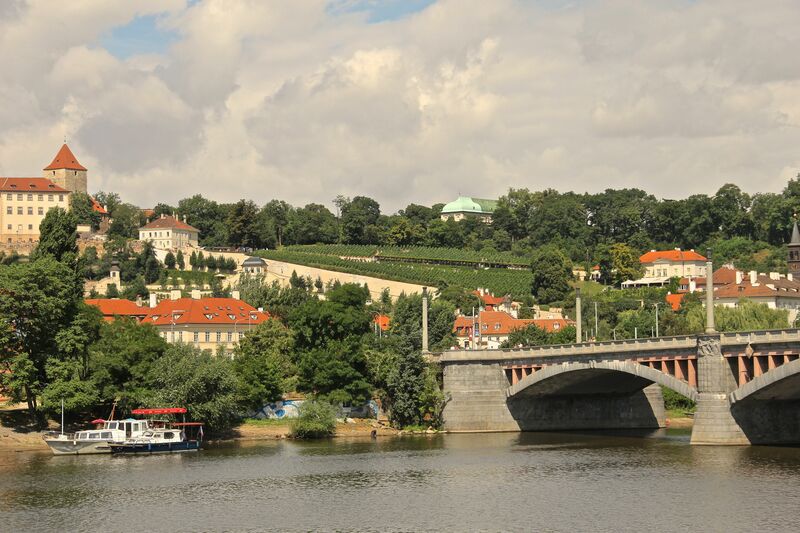 This lovely city, centered on the Bohemian Basin, has several, old stone-bridges over the Vltava river. 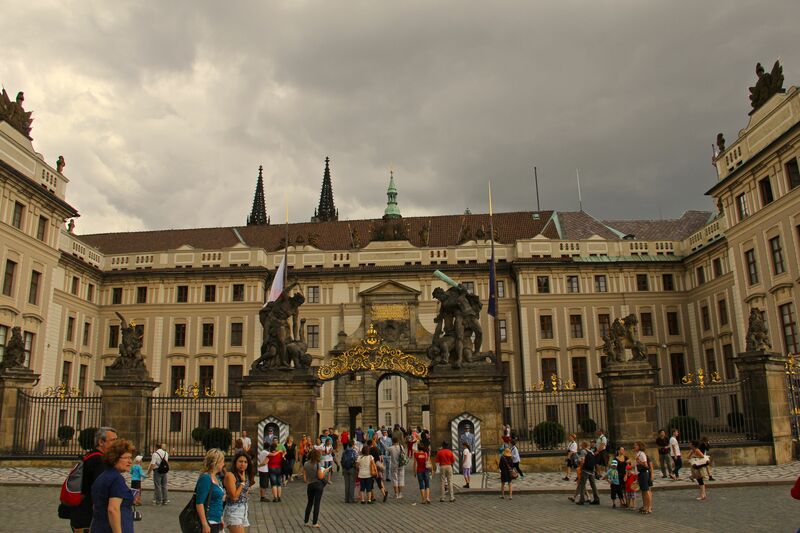 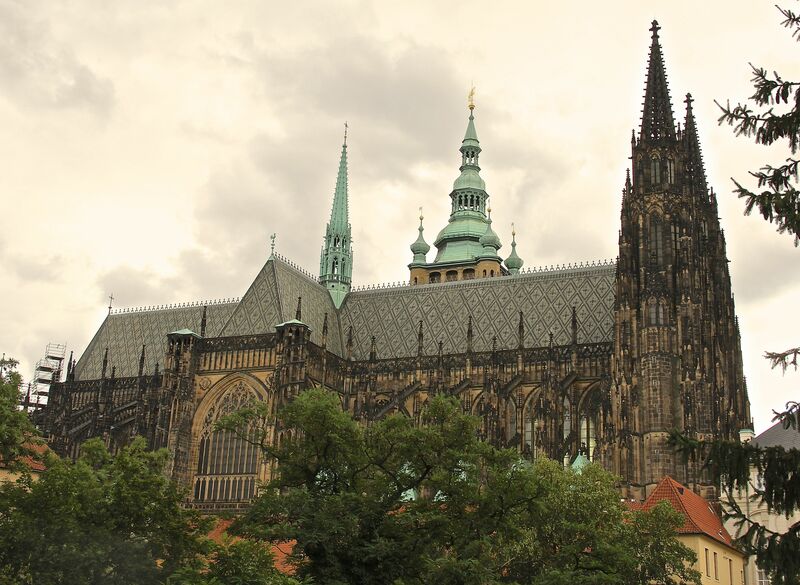 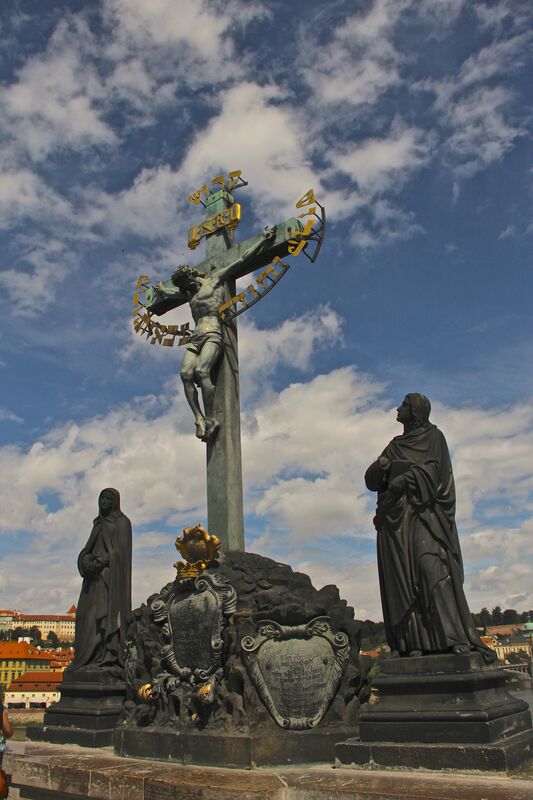 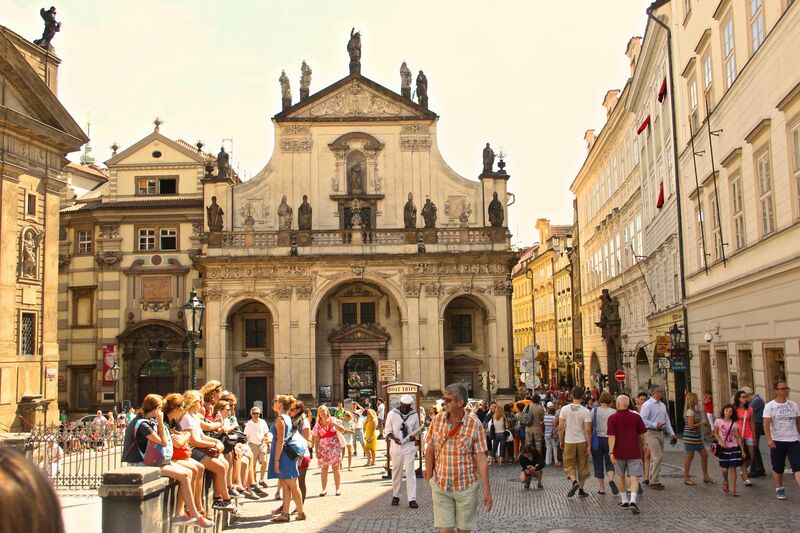 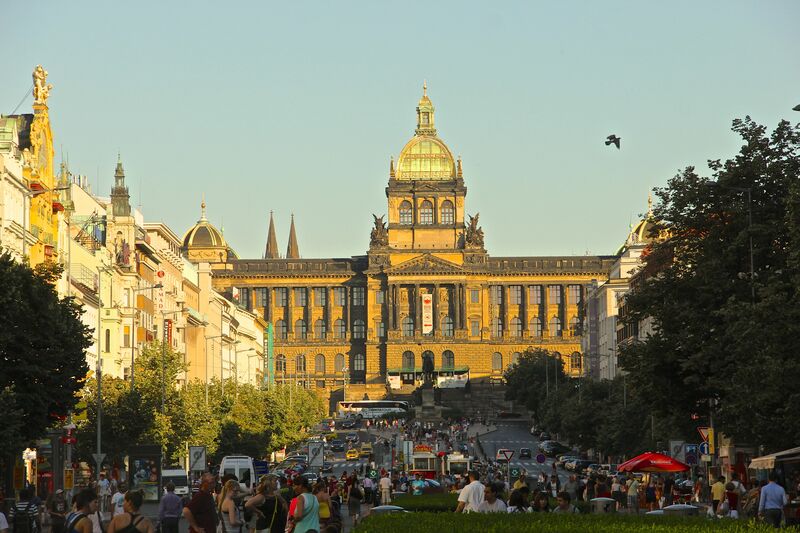 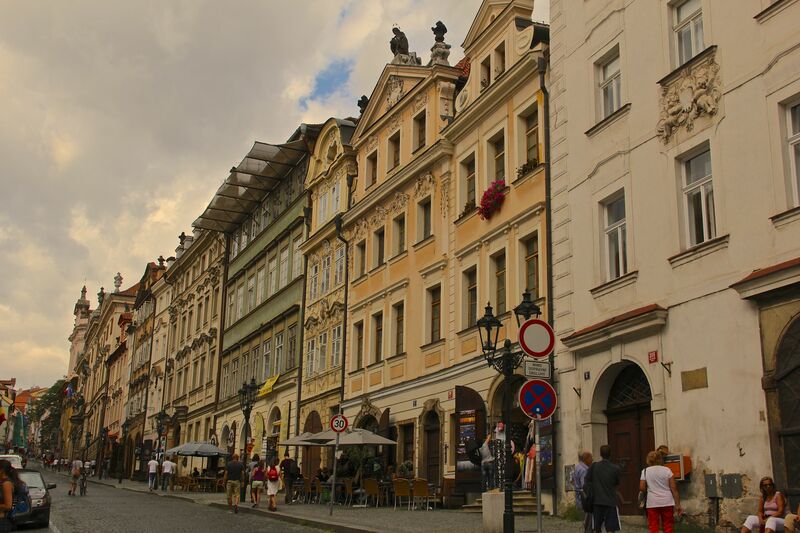 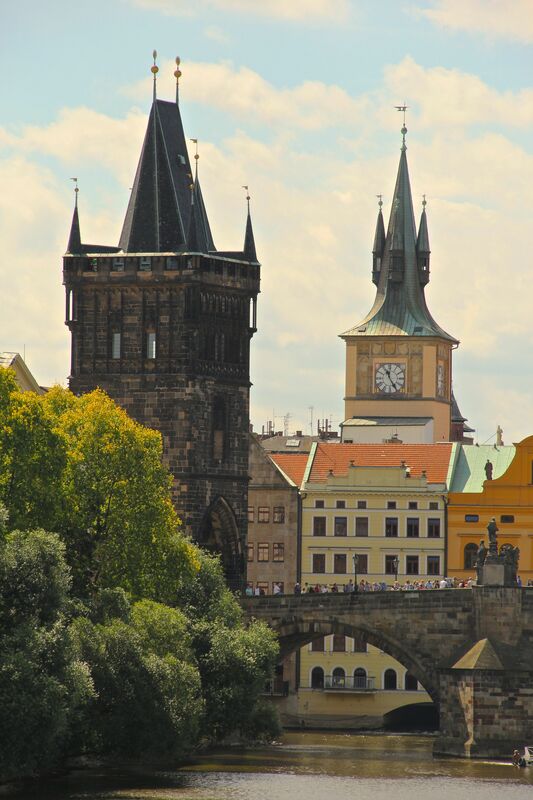 Prague has some fantastic attractions which include the Prague Castle, The Charles Bridge, the Prague Astronomical Clock, the Old Town Square, and much, much more. 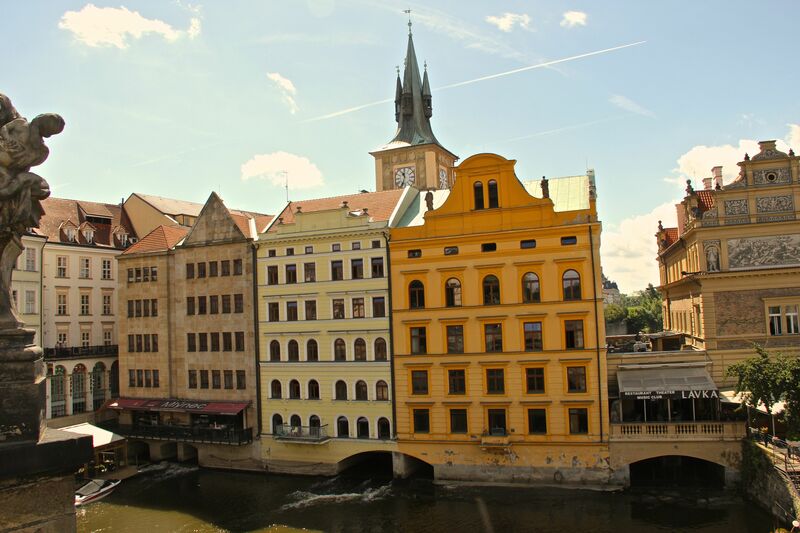 The architecture varies everything from the Romanesque, Gothic, Renaissance, to the ultra modern, creating one of the most unique and beautiful cities in Europe. 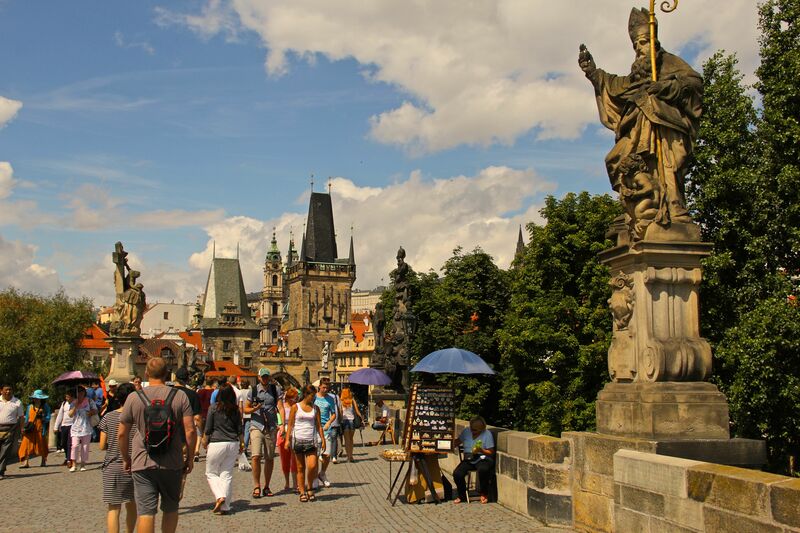 Wandering the streets near the Vltava river can be a bit dreamy as you pass by beautiful cathedrals, statues, and bridge towers. 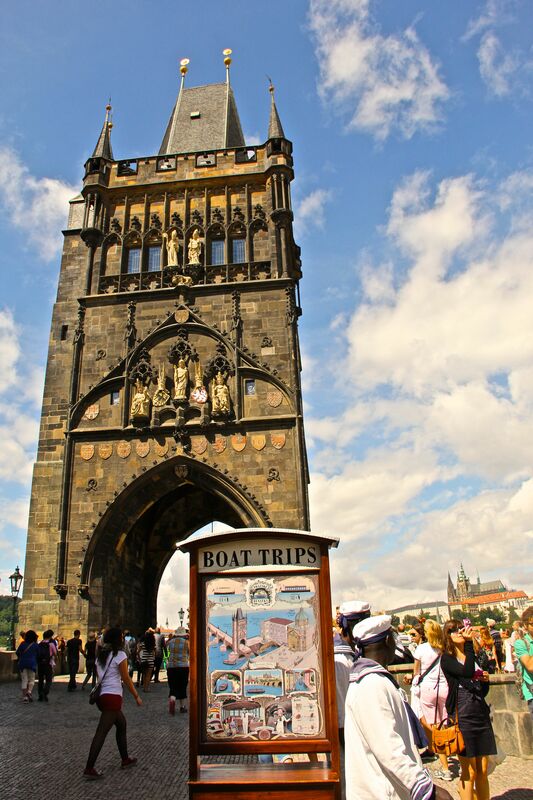 St Charles Bridge, built between 1357 and 1378, is one of the oldest stone bridges in Central Europe. 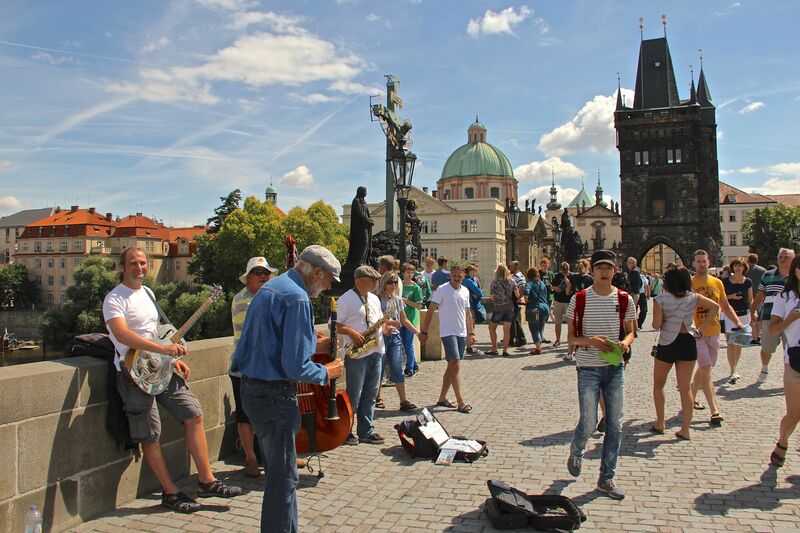 The bridge is packed with tourists slowly walking along and admiring the scenic view, lovely statues, street vendors, artists, and live musicians. 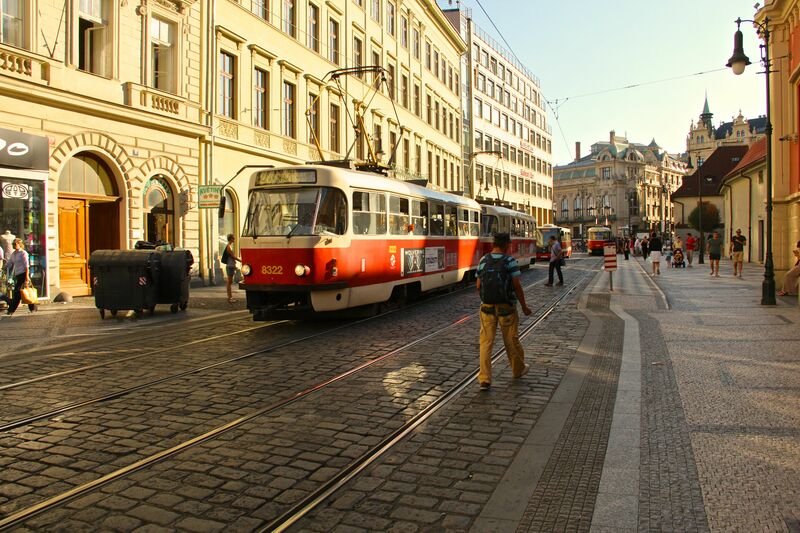 The public transit system here is excellent, fast, cheap and easy. 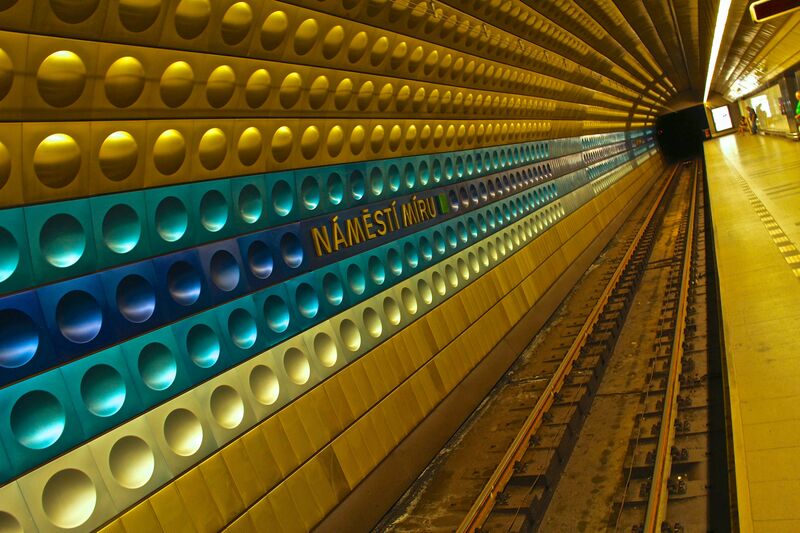 I love the design of the metro stations and they have an efficient tram system along with bus and ferry as well. 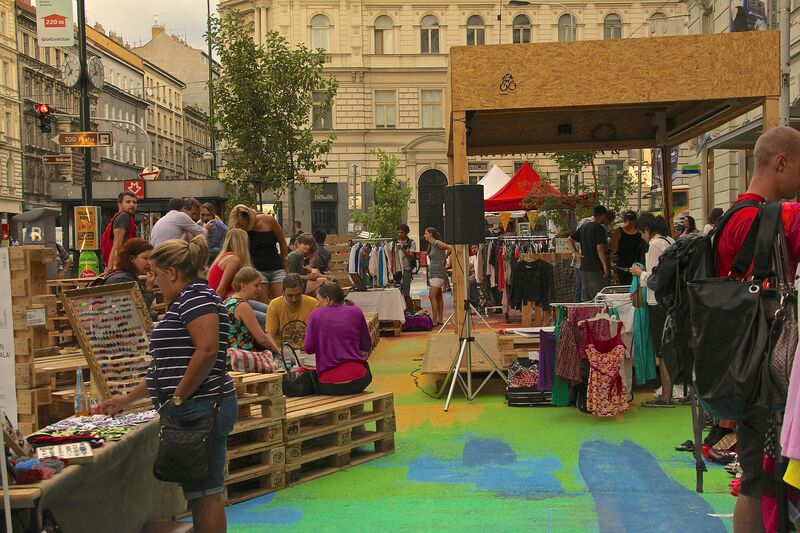 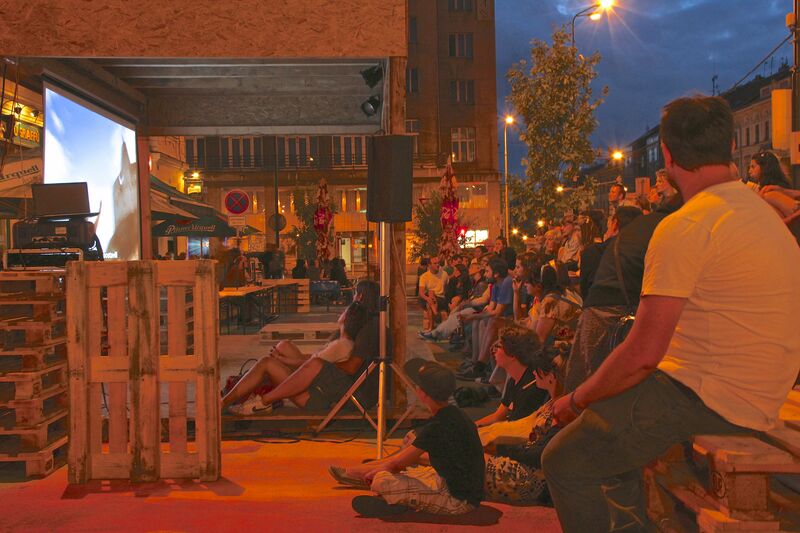 I was able to find a mellow outdoor flea market with drinks, food, and a free film-screening about building and sustainability. 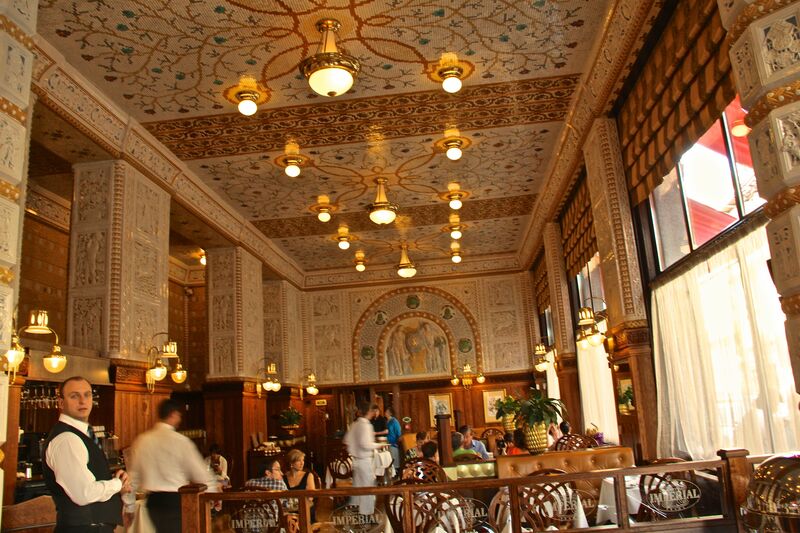 I hit the jackpot on a recommendation to dine at the Imperial Hotel which is home to a very famous chef. 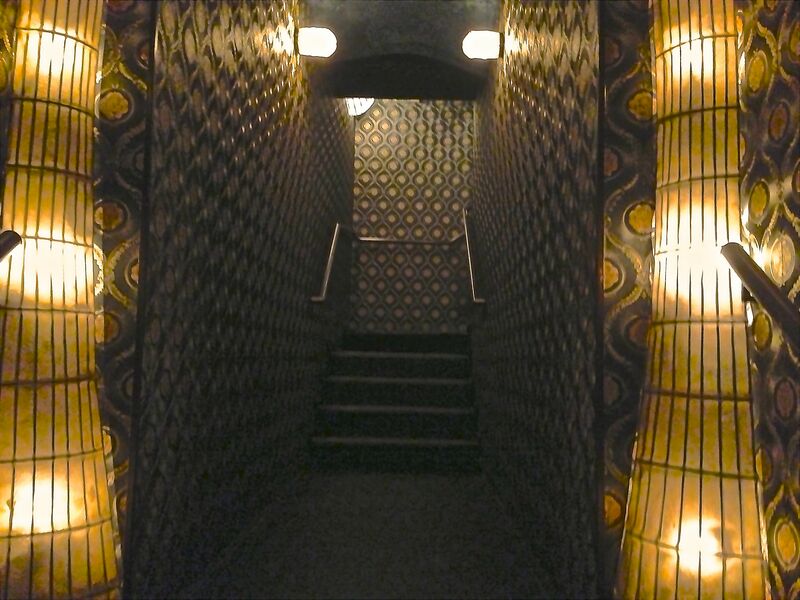 The Chilean Sea Bass was fantastic, the service was impeccable, the restaurant was affordable, and the décor was classic. 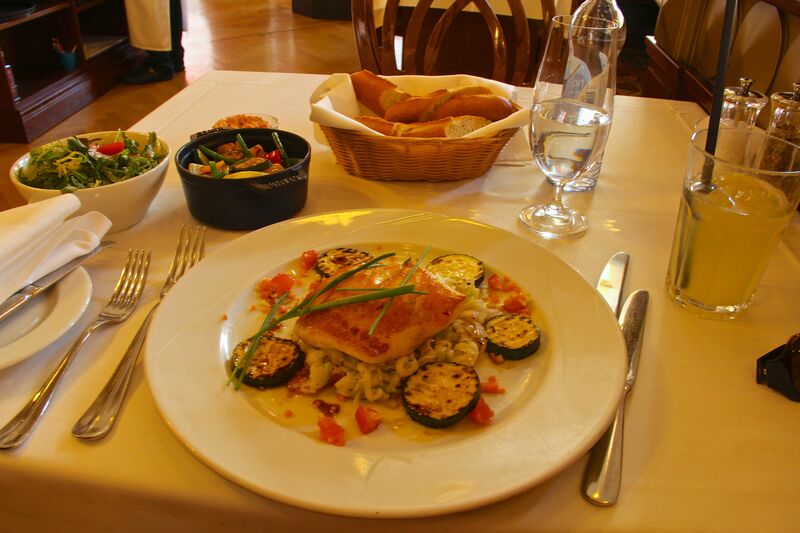 I couldn’t have asked for a better meal at a better cost. 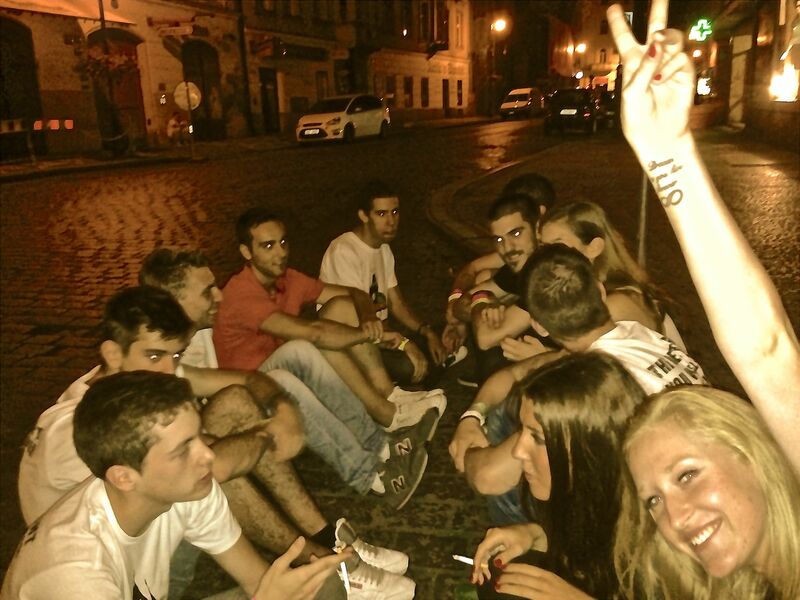 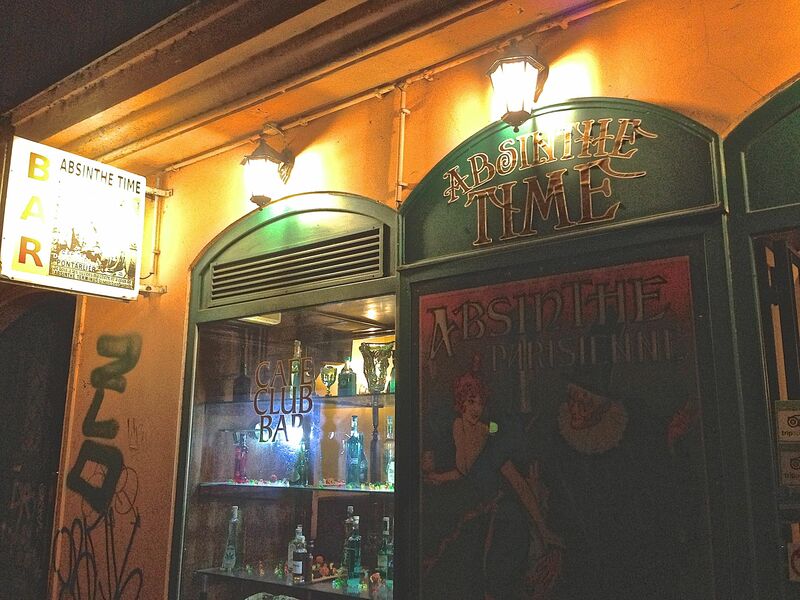 There is plenty of wild night-life in Prague with a wide variety of stylized bars, clubs, and absinthe bars. 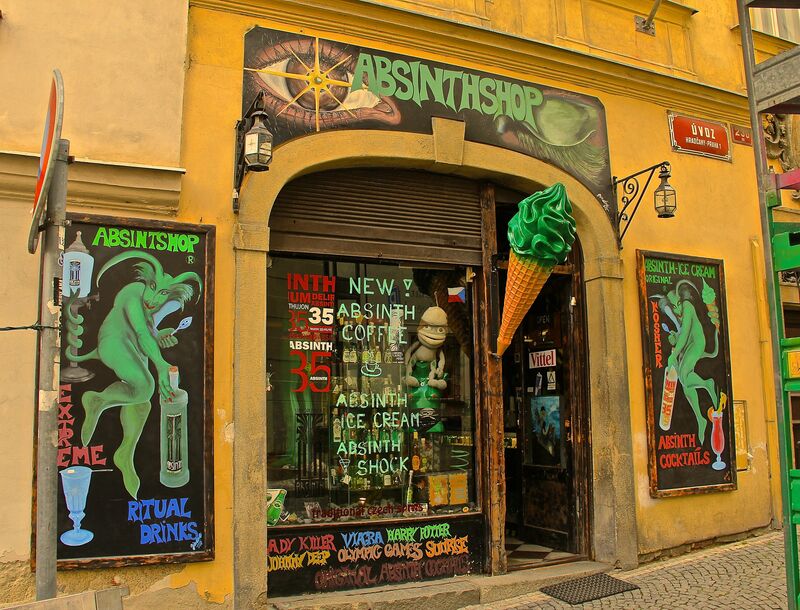 You can even find absinthe ice cream – Yummy! 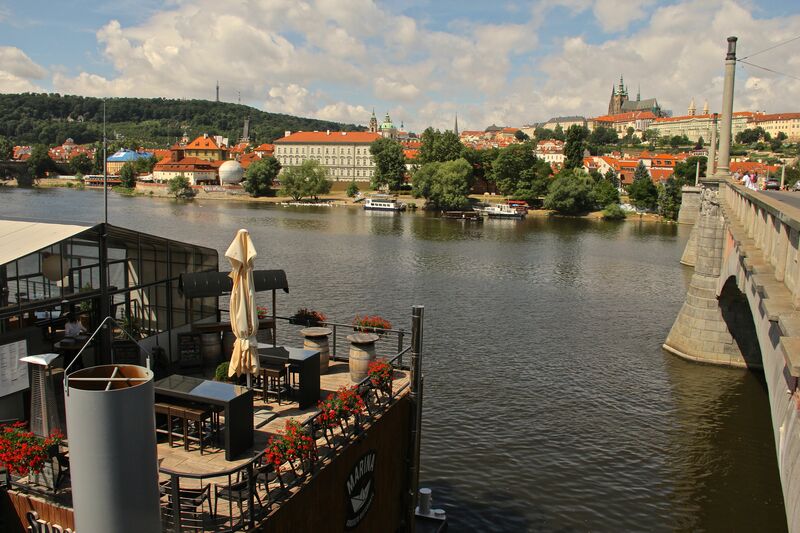 I was lucky to meet two, beautiful local girls who took me under their wing for a little dancing at one of the top night clubs, Club Roxy. 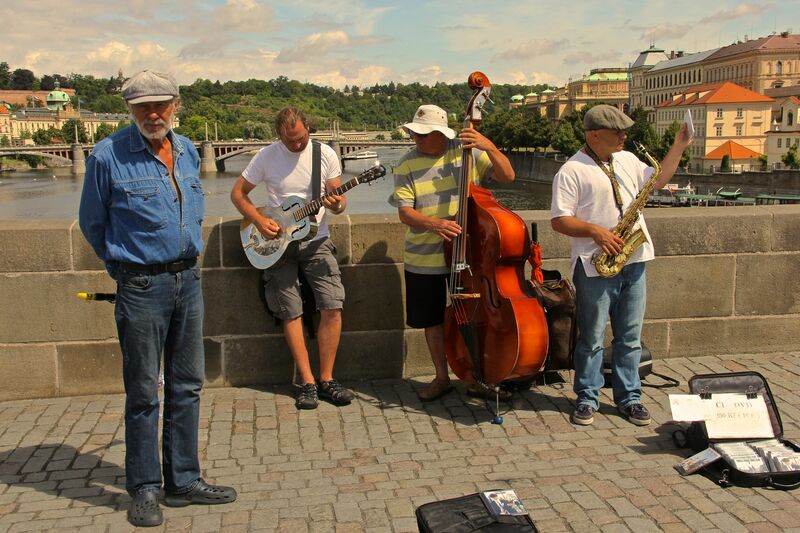 The locals were very cool and interested in California culture. 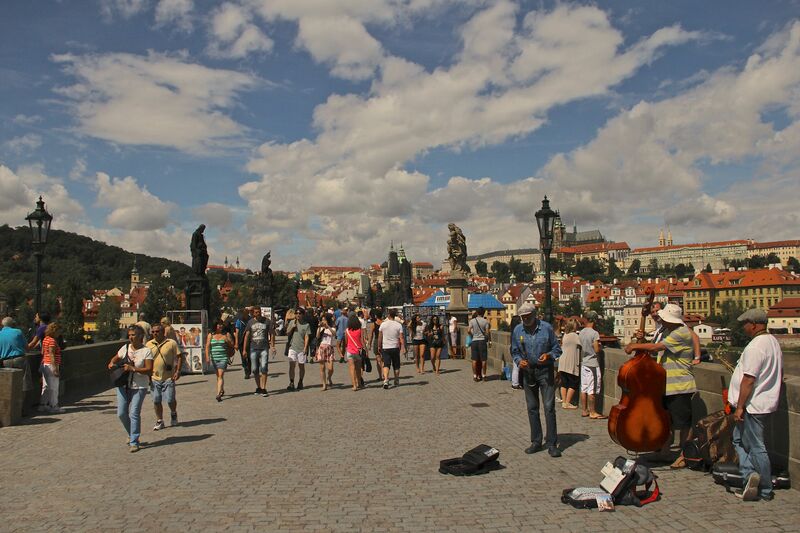 I noticed the police in Prague were much more tolerant of marijuana then other European cities – although it is not legal. 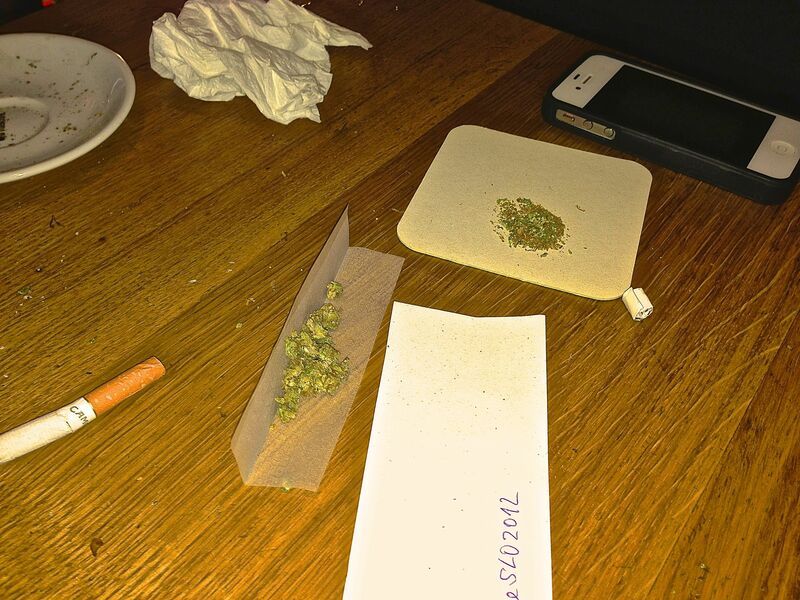 I walked into one bar where a patron was rolling a spliff on the bar and everyone was very relaxed about it. 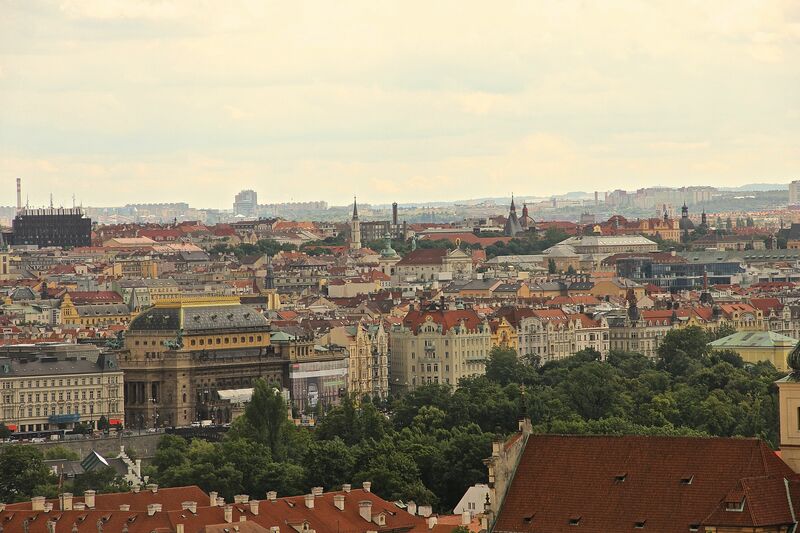 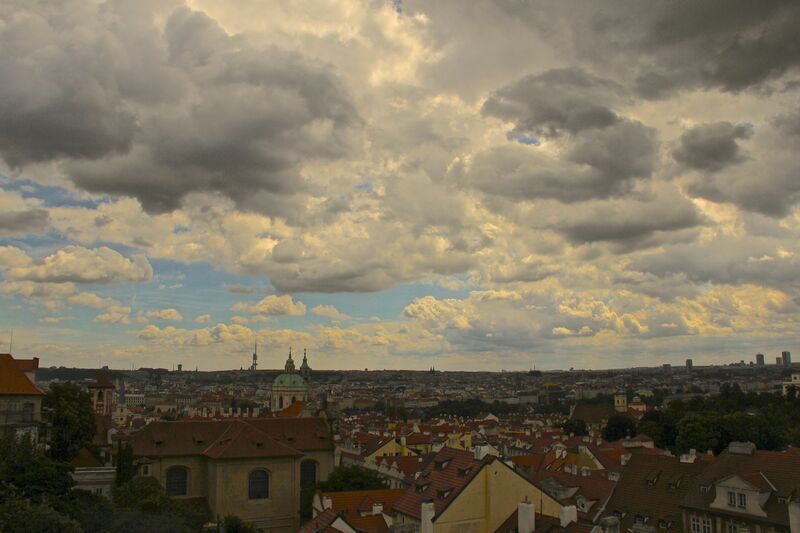 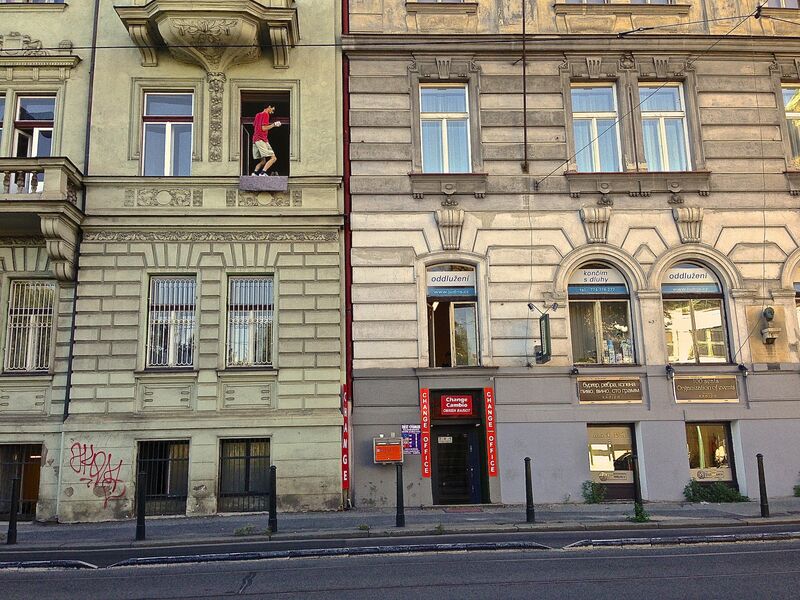 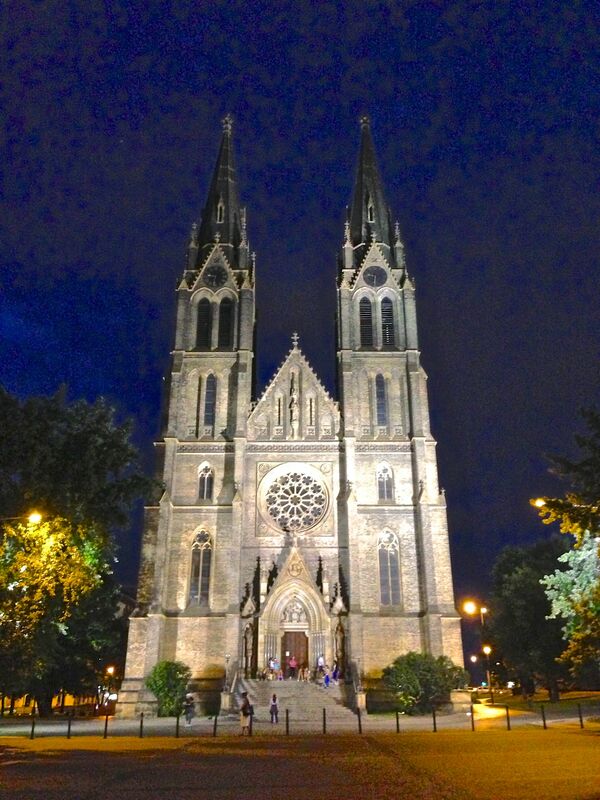 Prague is such a wonderful city and I hope to return again soon!